Love them, they look chic and don't care what size you are you can rock stripes. 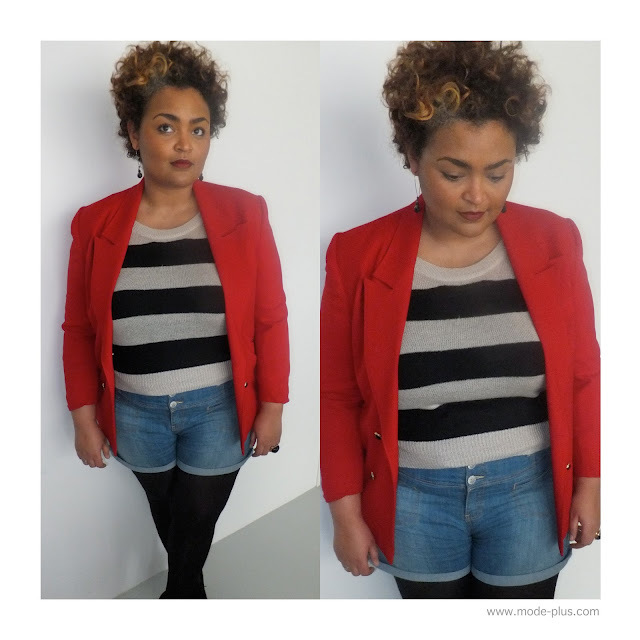 These are my favorites looks this week...stripes with a pop of color. What do you think of these looks? Do you do stripes?